Vancouver, BC – Ultra Lithium Inc. (TSX-V: ULI) (FSE: QFB) (“ULI” or “the Company”) is pleased to announce the appointment of Dr. David I. Groves to the Company’s Advisory Board effective immediately. Dr. David I. Groves, BSc Honours (1st class), PhD. Dr. Groves received a BSc Honours (1st class) and PhD from the University of Tasmania. He joined the University of Western Australia (UWA) as Professor of Economic Geology and became Founder and Director of the Key Centre for Strategic Mineral Deposits (later the Centre for Global Metallogeny). Dr. Groves has a distinguished career as a geologist and educator and has been honored as a Fellow of Australian Academy of Science. Throughout his career, he has supervised over 250 graduates for BSc Honours, MSc or PhD degrees and authored or co-authored around 500 publications in economic geology. He was President of the Geological Society of Australia, the Society of Economic Geologists (SEG) and the European Society of Economic Geologists (SGA) and has been awarded 11 medals for his research, including the SEG Penrose Gold Medal, the SGA-Newmont Gold Medal and the Geological Association of Canada Medal. Before retirement from UWA as Emeritus Professor, he organized the foundation of the now successful Centre for Exploration Targeting at UWA. Since retirement, he has been awarded an honorary DSc from UWA and consulted to the exploration industry and investment groups on all continents, mainly for Canadian companies in Africa and Brazil. Ultra Lithium Inc. is a junior explorer listed on the TSX Venture Exchange under the symbol ULI. The Company is committed to the aggressive pursuit of properties with high returns-on-investment and maximizing the value of assets through a disciplined process of assessment and responsible acquisitions. Currently, the Company holds exploration licenses in Ontario, Canada, Nevada, USA and Serbia. The Company is focused in Serbia where, along with its partner Beijing Explo-Tech Engineering Co. (BETEC), an exploration program is now underway. 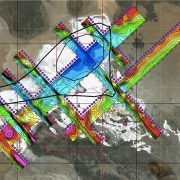 This program includes field reconnaissance, mapping, geochemical sampling and geophysical surveys (gravity and audio magneto-tellurics. ), for the purpose of determining drill targets. About Beijing Explo-Tech Engineering Co. Ltd.
BETEC is a high-tech geological exploration enterprise which provides geological exploration services, research, software development and technology support for the mining industry. 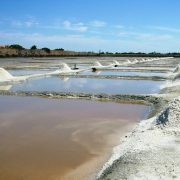 Areas of expertise include geological, geophysical, geochemical and remote sensing. BETEC has 110 official employees.